The story of the late Jesse Demaline and 65 years in magic. 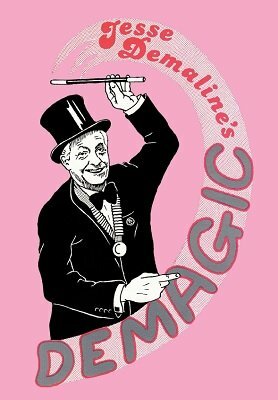 Apart from his interesting life story there are lots of his effects: Mental Magic 21 items, Children's Magic 21 items, Close Up Magic 23 items, Miscellaneous Magic 26 items. This ebook received great reviews from Terry Seabrooke and The Magic Circular when it was first published. 1st edition 1990, 1st digital edition 2013, 130 pages.